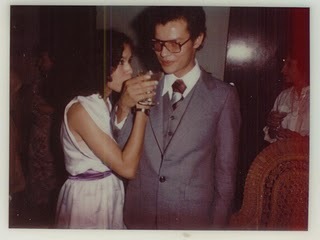 My mom and dad have been married for THIRTY YEARS! I have been blessed with amazing parents, and even though we don't live in the same state I know they are only a phone call away and I can always count on them. I love you, mami y papi! Happy anniversary! P.S. Don't they look really adorable on their wedding day?! Gotta love 1980 fashion.